The Chevrolet Colorado ZR2 Bison brings rugged off-road performance while maintaining on-road driveability. The Colorado ZR2 Bison joins Chevrolet's midsize truck lineup as an all-new performance variant. Bison is Chevy's first collaboration with American Expedition Vehicles (AEV), a premium off-road aftermarket manufacturer. In consecutive years, Colorado introduced the segment's first diesel engine (excludes other GM vehicles), an all-new V-6 gas engine/eight-speed transmission combo, the ZR2 "segment of one" off-roader and now the Bison. "Half of Canada's Colorado buyers are choosing Z71 or ZR2 models that provide incredible off-road capability without sacrificing on-road drivability," said Doug Kenzie, national marketing manager for Chevrolet trucks in Canada. 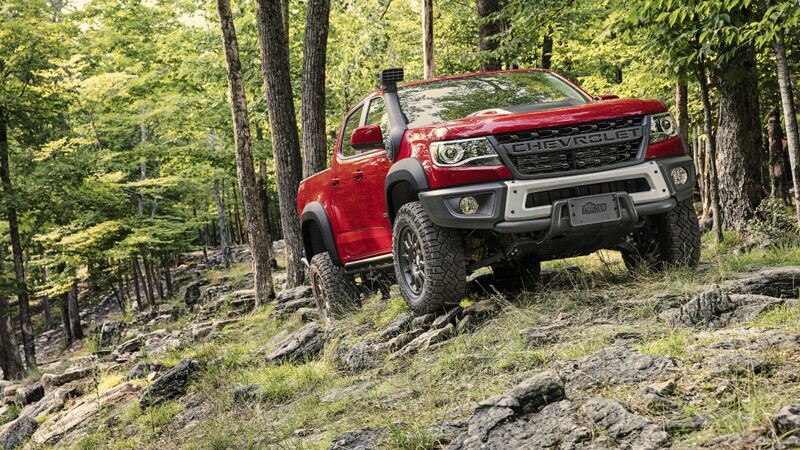 "The Colorado ZR2 offers incredible levels of off-road capability with a two-inch suspension lift, class-exclusive front and rear locking differentials and Multimatic DSSV dampers. With Bison, we now offer customers an even more extreme turn-key off-road truck that is ready to help you find new roads." An exclusive, flow-through "CHEVROLET" lettered grille replaces the traditional bowtie on Bison's front end. The 31-inch Goodyear Wrangler Duratrac off-road tires sit beneath larger fender flares and wrap all-new, ZR2 Bison-specific 17 x 8-inch aluminum wheels. This new Colorado variant also features "Bison" decals on the bed sides, an "AEV Bison" logo on the tailgate and embroidered AEV logo floor liners and front head restraints. "We've been following Colorado since its introduction, and the ZR2 really captured our attention," said Dave Harriton, founder and president of AEV. "As this is the first Chevrolet vehicle we've given the AEV treatment to, we wanted to do something special with the industry's first use of hot-stamped Boron steel. We also expect that Colorado drivers will love the added ruggedness of our front and rear bumpers on ZR2 Bison."